Thunderbird Dental Group upholds its high standard of care by adhering to the guiding values outlined in our Principles of Excellence: • Commitment to high quality in our standard of care We are committed to providing the highest standard of quality in our dental work. We won’t settle for adequate work when superior craftsmanship is attainable. • Excellence in approachability, transparency and respect We earn our patients’ trust by being approachable, respectful and transparent in our communications. • Excellence in professional development and progressive dentistry We constantly upgrade our skills and knowledge so that we can offer the most appropriate treatment for any situation. • Excellence in access Our clients lead active lives. We accommodate to help them fit dental care into their busy schedules. 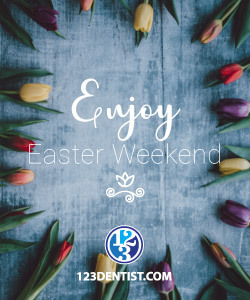 We schedule extended evening and weekend hours, and will make every effort fast-track patients in distress or who have a time sensitive occasion • Excellence in technology We constantly upgrade our skills and the technology in our dental clinic to meet the evolving needs of our patients. Whether we are using Digital X-Rays for advanced diagnosis or Invisalign invisible braces to comfortably enhance your smile, we are committed to being state of the art. Contact us to book your appointment today.